Hippity-hoppity, hippity-hoppity, Easter’s on its way! Paging through my most recent issue of VegNews magazine recently, I happened upon an advertisement for Eggnots, a dyeable, ceramic egg that looks just like the real thing. 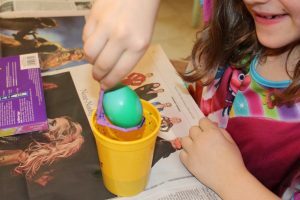 It was the answer to a question I had posed only days before to my husband: how can we give our children the traditional experience of dying Easter eggs without betraying our philosophy of doing as little harm as possible to non-human animals? 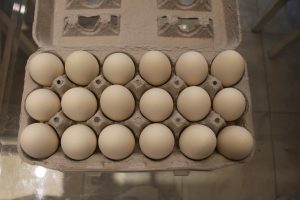 As our family moves toward a vegan lifestyle, we have stopped buying and eating many animal products, including eggs. In addition, I’m severely allergic to eggs and my children don’t enjoy eating them either, so the three dozen eggs we used to buy to color each year (a dozen per child) all ultimately go to waste. Of course, there are many alternatives to purchasing real eggs at Easter. My favorite online toy store, Bella Luna Toys, has a perfectly lovely selection of wooden eggs (brown, white and colored), a wood-egg painting craft kit and a felted eggs kit. My children have painted wooden eggs before and were very creative with their designs. We wouldn’t get the felted eggs kit in our home in an effort to avoid animal products, but I imagine a similar craft could be done with non-wool yarns (perhaps weaving or wrapping colored yarns around a hard center to make an oval egg). All of these options not only brighten up your Easter basket, but also lend themselves to creative play throughout the year, and I highly recommend them. But what about dying eggs? No product I knew of had existed that could be used with food coloring or traditional dye kits found in every store come March. 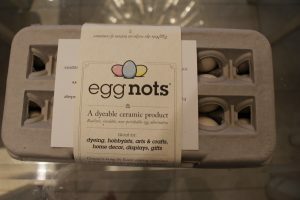 Enter Eggnots – the “realistic, inedible, non-perishable egg alternative created to bring the Easter coloring experience to children and families affected by egg allergies.” Made in the U.S.A by a woman motivated to help her niece with food allergies, Eggnots are vegan-friendly, eco-friendly, and 100% safe for families with egg allergies. My family and I rejoiced! As soon as our Eggnots and dye kit arrived, we eagerly set up our table, rolled up our sleeves and got right to work (no more spending hours boiling dozens of eggs and waiting for them to cool). 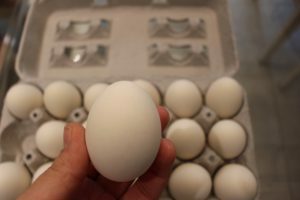 While the Eggnots FAQ page states that traditional dye kits are not as effective as their dye set (less than $6) or food coloring mixed with water and white vinegar, the insert on the product claims that they will indeed work, but will yield very light pastel colors. 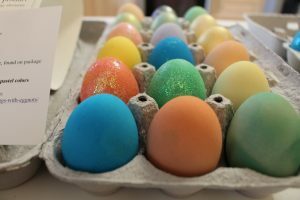 We decided to give two kits a try: the 24 Karat Easter Egg Coloring Kit and Glitter Easter Eggs, each found at my local Five Below for $2/piece. In addition, we used the Eggnots dye kit that came with four color packs (emerald green, blue, red and yellow) and four durable, large plastic cups for dying. The results were exactly as the insert described: lovely pastel eggs with the store-bought kits and vibrant, gem-colored eggs with the Eggnots kit. Once we started coloring, we decided to try glitter glue pens and colored glitters from our craft drawer, adding a completely new, sparkly dimension that thrilled all three of my children. The results were magnificent, and we now have Easter decorations that can fill our baskets year after year. Are you interested in using natural dyes on your Eggnots? Well that works as well. Eggnots references a wonderful article about doing just that on Ecorazzi. 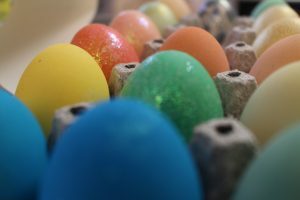 The eggs can also be painted, drawn on with markers or nail polish, and embellished with confetti, glitter, sequins, rhinestones, stickers, yarn, tissue paper, ribbons and leftover fabric bits. The possibilities for unique creations are endless. If you are a parent of young children, I am sure you are asking about the durability of Eggnots, given that they are ceramic. My ten-year old must have dropped his Eggnots five or six times, both on wood and glass and … nothing! Try that with a hard-boiled egg! I can confirm that Eggnots are not fragile and can be handled by children of all ages. Another benefit: Eggnots dried much more quickly than real eggs. Once we removed an Eggnot from a color bath, we dabbed it with a paper towel to absorb excess dye. The website recommends waiting 20-30 minutes to dry completely, but Eggnots are absolutely dry to the touch almost immediately. I didn’t have to store them in the refrigerator afterwards either, and that means no awful smell permeating all of our other food. Eggnots look and feel like real eggs. My children might never have know they were ceramic had I not told them. If you are vegan, suffer with egg allergies or just enjoy crafting, Eggnots will allow you to make Easter keepsakes that you can feel good about using. For you vegans, even PETA recommends Eggnots as a humane alternative to chicken eggs. 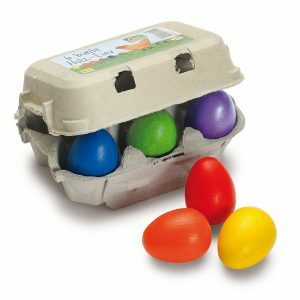 Stored year after year in the adorable cartons they come in, Eggnots can be reused forever as decorations or for Easter egg hunts. What’s not to love? 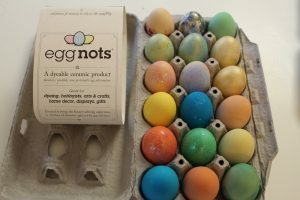 Easter 2017 is only three weeks away, so head over to Eggnots.com and get crafting!